If science and mathematics are your things, then it is better to consider engineering as a career option. The impending growth in the number of industries has increased the demand of engineering professionals in the world in all the fields. Home to several multinational companies, Bangalore city is also famed for its engineering colleges. These institutes promise to provide best education, placement opportunities and better industry exposure to the learners. With the expansion of IT industry, the city has become an educational hub for the aspirants. The top companies in Bangalore city have their branches in abroad and thus, the city is a big catch for those planning for overseas opportunities. 1. Christ University: Situated in the heart of the city, this is an autonomous university offering various engineering courses. This is one of the renowned universities offering the best quality education and superb environment to the students that help them to achieve their dreams. From the undergraduate courses to the doctoral programs, Christ University offers a plethora of courses in engineering including civil engineering, structural engineering, IT, electrical and electronics, automobile, mechanical and electronic and communication engineering. 2. HKBK College of Engineering: HKBK is without a doubt one of the top B. Tech colleges in the city offering an extensive range of programs in engineering. The institute offers an international learning environment with students from all corners of the world. It aims to create the professionals to meet the diverse demand of global market. It persistently seeks and adopts latest and innovative methods to improve the quality of education. 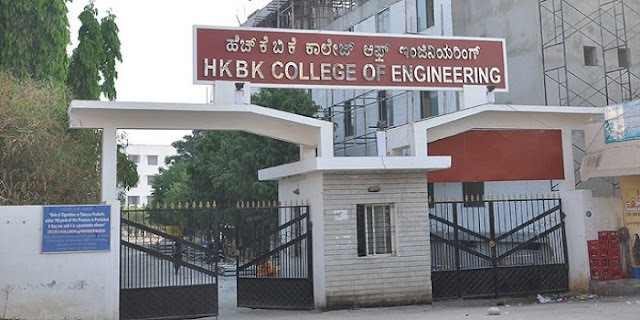 HKBK is one of the best engineering colleges known for their world-class infrastructure, well-experienced and dedicated faculty and quality education. 3. Alliance College of Engineering and Design: Offering a wide range of engineering courses, Alliance College of engineering is one of the best engineering colleges in Bangalore which is highly popular among the students. The institute offers an ideal environment to the students for an independent and creative thinking. Applications for the session 2018-2022 are invited. 4. Presidency University: The Presidency Institute aims at transforming the young minds into talented engineers by providing quality and industry-oriented education. The institute offers several undergraduate courses in different specializations including computer science, civil, electrical and electronics engineering, mechanical engineering, petroleum engineering, and electronics and communication. 5. Jain University: Jain University is ranked among the top 5 private and deemed universities in India. Today, it stands as one of the best B. Tech colleges in Bangalore. The university has collaborations with many institutes and organizations across the world. Jain University is the best option for the aspiring engineers. With world-class and experienced faculty, outstanding campus facilities and structures, this institute is simply the best. Applications for the coming sessions are already invited for the different specializations including aerospace engineering, computer science and engineering with specialization in cloud technology and mobile application, and with specialization in cloud technology and information security. These were some of the top institutes in Bangalore and you can go through with their respective websites to know more about courses and admission details.